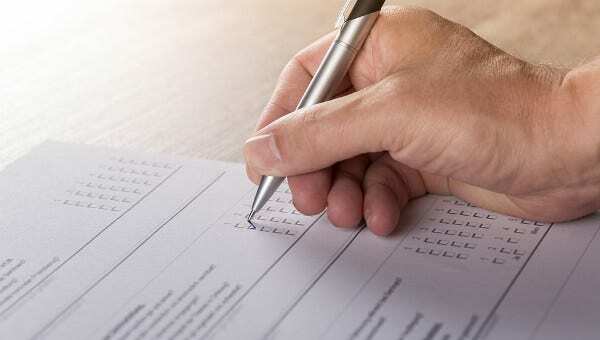 Surveys are helpful tools you can use to gather all necessary information especially for a large target sample.These can either be in paper or online. 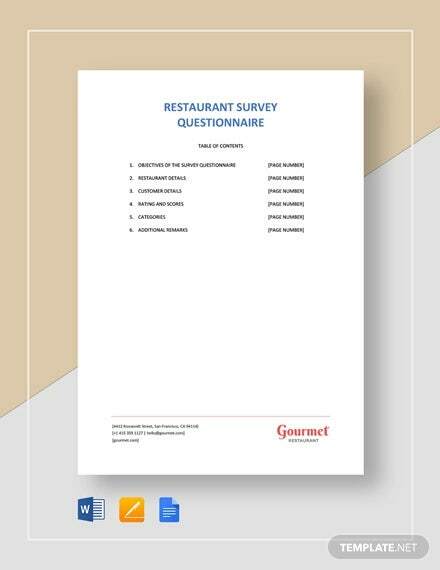 Surveys are primarily used for research, but now, they are used in different fields such as medical, human resource, marketing, and other industries. 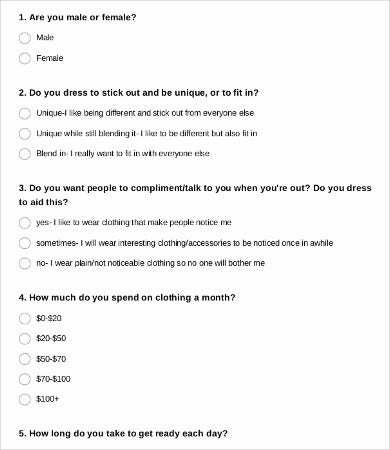 Yo may also see survey samples. With surveys having a very wide range of applications, you ought to get the right one that best fits your purpose. 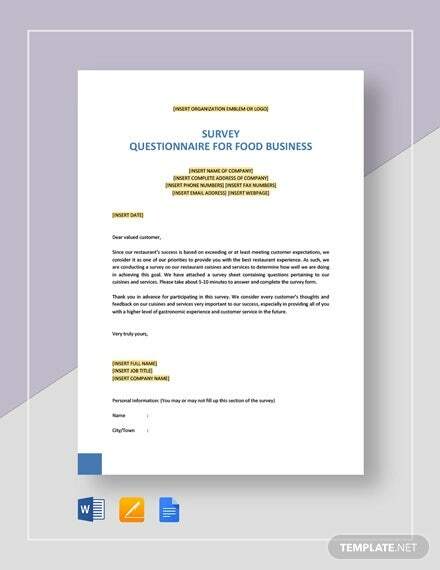 To help you with that, this article provides numerous templates,including customer satisfaction questionnaires, business surveys, and research questionnaire templates. Hence, all you need for a survey template is just a click away. You can have a wide array of choices when it comes to survey types. 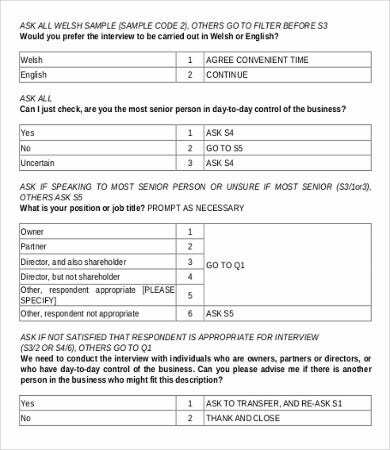 But generally, they are grouped into two major categories—interview and questionnaires. This is often done in paper and is commonly used for larger groups. It is mostly composed of close-ended questions so answers can be quickly gathered. Also, being able to keep the privacy of the respondent is its advantage. 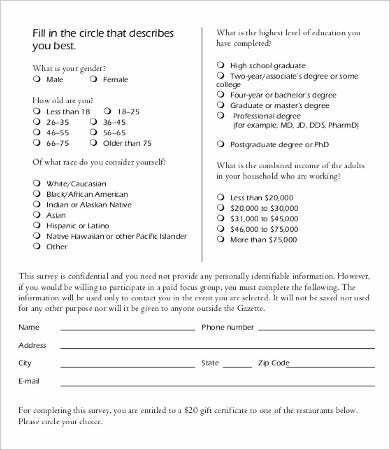 Start getting basic information wherein you can first ask the age, gender, and address of the respondent, if you deem it necessary. 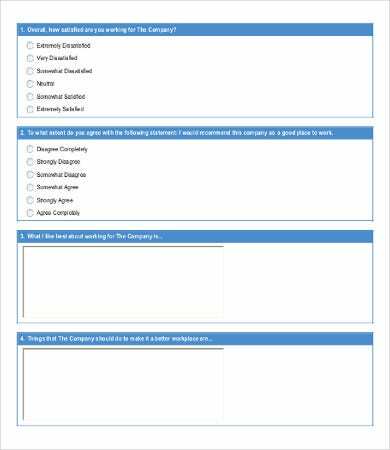 Draft the objectives of the product survey then write corresponding questions and statements. Choose the method to use in gathering data. You may use rating scales, multiple choices, check boxes, or paragraph boxes. 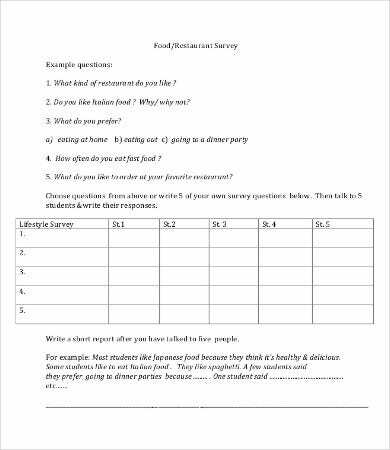 If you’re still confused as to how to make the right survey questionnaire, then you can download any of these survey templates as your guide. By getting more than one of these templates, you can compare them and pick out points that you think is useful for your own version. 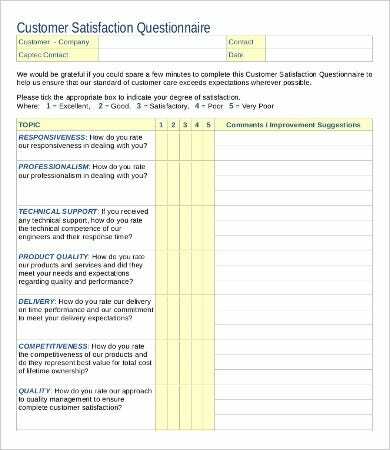 You can use check boxes found in an employee sample survey questionnaire, or you can follow the rating scale from of our templates from our catalog of customer satisfaction survey templates. People run to surveys and questionnaires whenever they are tasked to gather a huge amount of data. Back then, they did it manually, and some even had to mail their questionnaires to residences. They can be administered easily. They can gather accurate data. 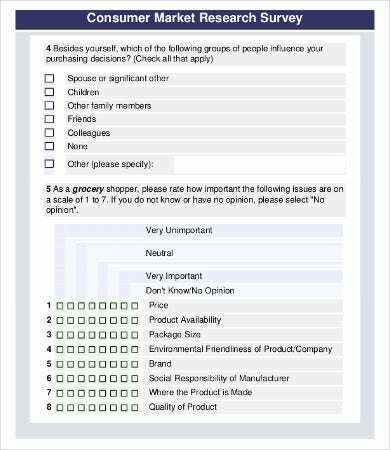 Surveys, especially those held online, could target a bigger cross section. 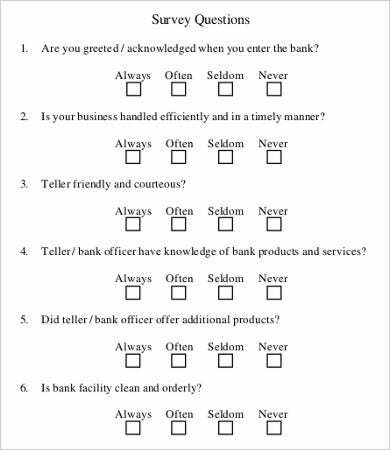 There are more honest answers from private surveys. There is less bias when drawing conclusions from the answers.